Mitch McVicker could easily play along with the “comeback kid” story everyone wants to hear. The facts would certainly support it: After surviving the September 1997 car wreck that killed his roommate and close friend Rich Mullins, McVicker endured a slow rehabilitation that was painful in every way imaginable. It would seem that McVicker has much to celebrate now. 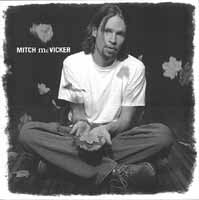 The project he and Mullins were wrapping up at the time of the accident — McVicker’s debut CD — has been released nationally by Rhythm House Records. Response has been positive, and McVicker’s reputation as an artist and performer continues to grow. But on the day of this interview, McVicker can’t disguise the pain in his voice. He shares the details of his brokenness with a vulnerability and honesty any believer would be blessed to possess. “My career seems to be taking off,” he begins. “But I think, ‘You know, that’s not doing much for me.’ I’m in a situation where I’ve split up with my fiancée, and that’s probably the most difficult thing I’ve ever gone through. To that end, McVicker is seeking solace in the studio. A sophomore album is in the works, and McVicker confides that much of his emotional energy has been poured into the new material. At least one tune, “Rich’s Song,” will directly address the other great loss in McVicker’s life. But in discussing that song, McVicker communicates that he’s not one to wallow in loss. As for what will restore McVicker’s joy, he can’t say. Pleasures in his life seem fleeting. But there is a glimmer of joy in McVicker’s voice that reflects his passion for music, love of God, and craving for community.